Ayala teaches yoga so that the poses become a vehicle to help our bodies feel grounded and stable, while also open-hearted and expansive. In this way, the physical practice is always about deepening the spiritual practice. 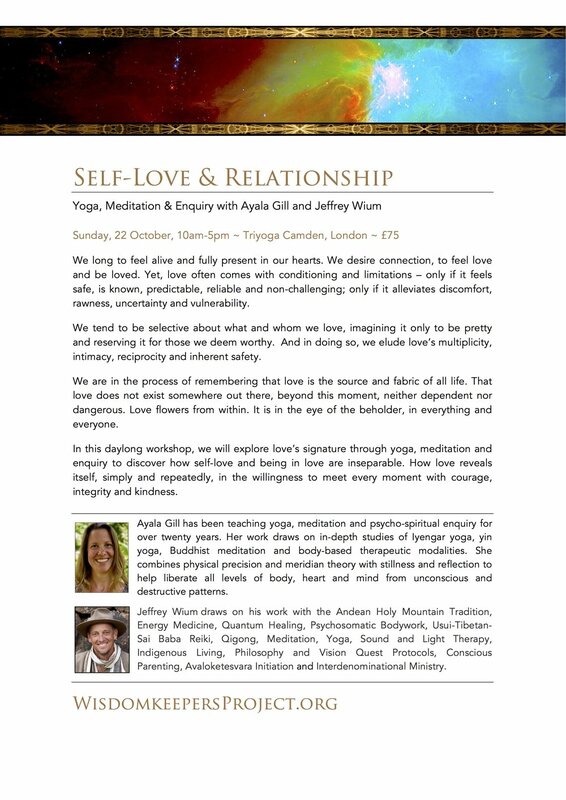 Ayala has such an in-depth knowledge of spirituality across various traditions, and is herself a deeply spiritual yet grounded being, and so her meditation teaching is very profound. Jeff’s work with energy and guided meditation has helped me come to a deeper understanding of what is happening and my reactions to it. He has helped me to reconnect to my own intuition. I deeply resonate with the way Jeff works and have felt so light and awake since working with him. While Jeff and Ayala may seem to teach seemingly different modalities, they share a core intention of healing through guiding others to connect deeply to the inner-self and act from a place of trust.